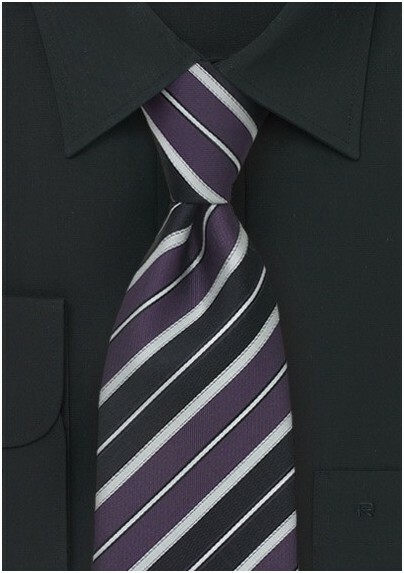 Add a dose of modern sophistication to your style with this fresh and contemporary striped tie in black, purple and grey. The refined palette is a perfect accessory to mix and match with your professional and casual wardrobe. 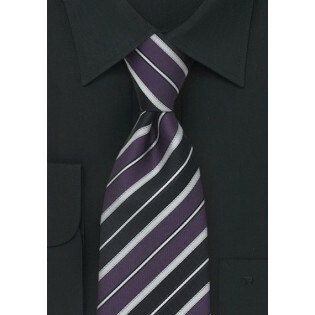 Bring out the greys in this tie by matching it with a white dress shirt and dark grey suit. For a high fashion casual look, pair this tie with jeans and a black wool blazer.